Spring, summer, and fall are all teeming with wildlife, but what about winter? After the great migration in autumn, where the skies are littered with flock after flock of birds, winter could seem pretty dull. Sure, you can still hear the chickadees sing “cheese-burger” back and forth, and watch the magpies tease our dogs, but on the surface, that seems to be it. However, if you pay attention to the small details, you will actually see quite the opposite of a lifeless winter wasteland. With all the commotion during fall migration, did you notice our new guests settle in? Those birds who nest in the arctic, and – if you can wrap your brain around this – overwinter here! 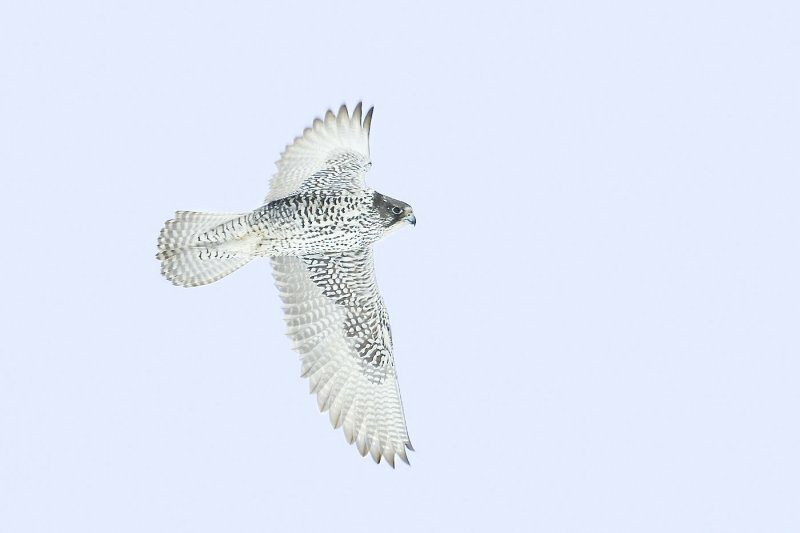 Gyrfalcons, snowy owls, snow buntings and redpolls are a few of my favourites. 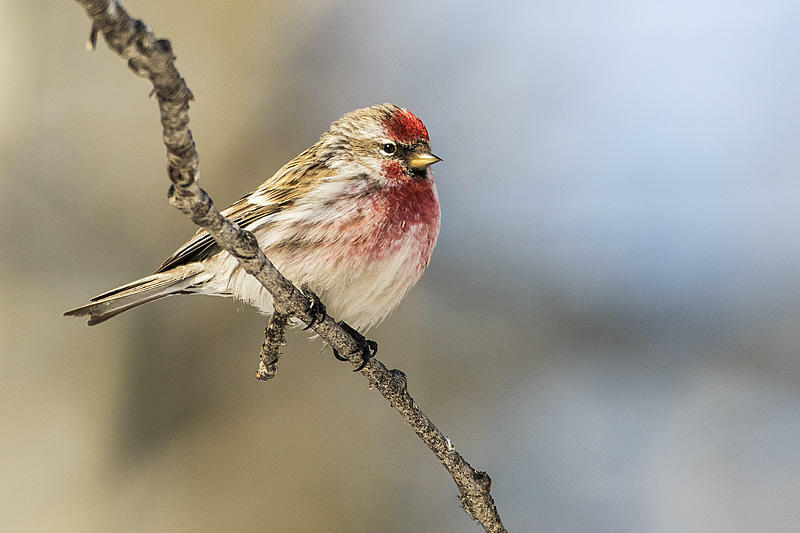 If you have a bird feeder in your yard, you’re most certainly aware of the flocks of hungry redpolls eating you out of house and home. These migrants promise to keep you company, eating your birdseed, in place of those who abandoned you, in search of nicer weather. Next time it snows, look closely and you’ll see evidence of secret lives revealed – they’ve been here all along. Once you notice one, you will soon be overwhelmed by the endless wildlife tracks criss-crossing over the snow banks. Deer, moose, coyotes, porcupines, and even small creatures like voles, skittering across the snowdrifts. If you’re lucky, you’ll discover the adorably tiny footprints of a weasel; hopefully not outside your chicken coop though! The fascinating patterns expose their systematic behaviour as they search and hunt for food – catching wind of a mouse, stalking it, and pouncing in for the final feast. Snow is a temporary record, painting a picture and telling you a story of many characters. Are you following? Winter also strips away the thick leaves and understory which once concealed the private lives of wildlife. Take a winter walk through the trees or explore trails on snowshoes or skis. Keep your eye open and discover the characteristic rectangular holes excavated by Pileated Woodpeckers in search of bug larvae; they stay with us all year round. The fresh sawdust on the trail will give them away, and make you look up to see the origin. Look around to unveil the covert locations of summer nests, once concealed by heavy foliage, but now eye catching in the naked forest. Some birds, like hawks, will return to the same nest year after year. Finding these nests in the winter will allow you to watch the nesting hawk next summer, from a safe distance, rearing its young in the hidden location whose secret you now share. So our seemingly desolate winter wasteland is actually exploding with life, concealed in minute details. Open your eyes and ears to winter wildlife and get outside and enjoy. You won’t feel alone out there, I promise! Find a natural area to explore near you, by visiting the Edmonton and Area Land Trust’s conservation lands. Explore our map at www.ealt.ca/conservation-lands/. Trees, Plants and Birds! Oh My!